NEW YORK -- Mary Tyler Moore, the star of TV's beloved "The Mary Tyler Moore Show" whose comic realism helped revolutionize the depiction of women on the small screen, has died. 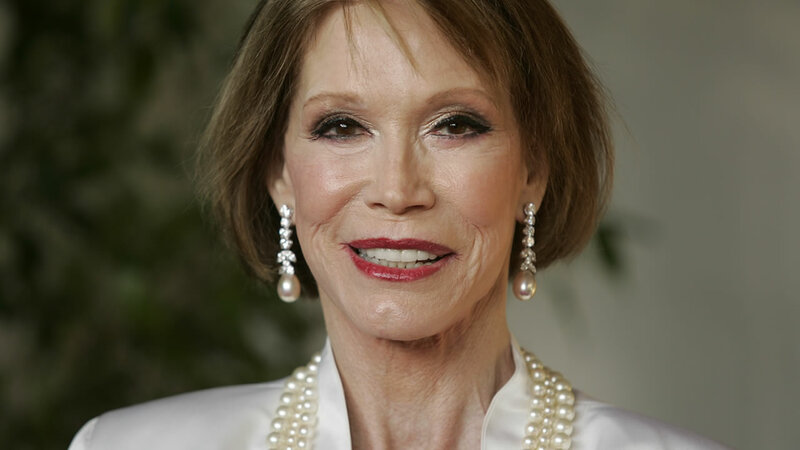 Actress Mary Tyler Moore over the years. The show was filled with laughs. But no episode was more memorable than the bittersweet finale when new management fired the entire WJM News staff - everyone but the preening, clueless anchorman, Ted Baxter. Thus did the series dare to question whether Mary Richards actually did "make it after all." She starred in two different programs called "Mary" - one, a comedy/variety hour similar to "The Carol Burnett Show," lasted only a few episodes in 1978. Another variety show, "The Mary Tyler Moore Hour," spent a few months on the air in 1979. Moore endured personal tragedy in real life, too. The same year "Ordinary People" came out, her only child, Richard, who'd had trouble in school and with drugs, accidentally shot himself at 24. Her younger sister, Elizabeth, died at 21 from a combination of painkillers and alcohol. Moore herself lived with juvenile diabetes for some 40 years and told of her struggle in her 2009 book, "Growing Up Again." She also spent five weeks at the Betty Ford Clinic in 1984 for alcohol abuse, writing that they "transformed my life - and gave me a chance to start growing up - even at my advanced age ... of 45." It was the start of a comic legacy.